The committee has 5 Office Bearers. This includes the 2 Medical Secretaries, Chairman, Vice Chairman and Treasurer. 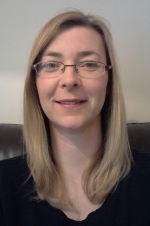 Graduated from Glasgow University in 1995 and completed GP training in 2000.Worked as a sessional GP (as a locum then retainee) before becoming a GP partner in Johnstone, Renfrewshire in 2005.Clinical tutor for 3rd year medical students at Glasgow University since 2008. Member of Glasgow LMC since 2012 and LMC Executive in 2014. Currently attend Respiratory MCN and ADTC Polypharmacy meetings on behalf of the GP subcommittee and attends Hospital subcommittee as deputy. GP lead for the Loop Closing Commission (October 13-March 14). Areas of interest include Primary/Secondary care interface, GP contract and GP IT.